The Bible tells us about many remarkable births. For example, there is the birth of Isaac to parents nearly 100 years old. And then there are the births of Samson, Samuel, and John the Baptist — all of whom were born to women with barren wombs. In like manner, there have been some remarkable births since Bible times — like the Dionne Quintuplets in Canada in 1934, the first such birth in which all five survived to infancy. In 1974 in South Africa, the Rosenkowitz family gave birth to sextuplets, again the first such birth in which all six survived. And then there were the McCaughey Septuplets born in Iowa in 1997. Only to be outdone by the Suleman Octuplets born in California in 2009. But none of these births, as spectacular as they may have been — none of them is the most spectacular birth of modern times. 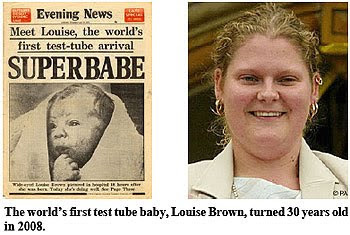 The most amazing birth since biblical times would have to be that of Louise Brown in Lancashire, England on July 25, 1978. She was the first baby conceived outside the human body — the first "test tube baby." History attests to barren wombs made fertile. History attests to amazing multiple births. History attests to conception outside the womb. But none of these births is as amazing, as miraculous, as stupendous as the birth of Jesus of Nazareth — the birth proclaimed to the shepherds of Bethlehem by the angels of God. The birth of Jesus of Nazareth is the most unique birth in all recorded history, for the Bible tells us that He was born of a virgin. And that's where I would like for us to go right now — to the Bible. Let's begin our study of the virgin birth of Jesus by examining the Scriptures. To set the stage for our study, let's consider a passage from Matthew 1, verses 18-21. 18 Here is how the birth of Yeshua the Messiah took place. When His mother Miryam was engaged to Yosef, before they were married, she was found to be pregnant from the Ruach HaKodesh [the Holy Spirit]. 19 Her husband-to-be, Yosef, was a man who did what was right; so he made plans to break the engagement quietly, rather than put her to public shame. 20 But while he was thinking about this, an angel of Adonai appeared to him in a dream and said, "Yosef, son of David, do not be afraid to take Miryam home with you as your wife; for what has been conceived in her is from the Ruach HaKodesh. 21 She will give birth to a son, and you are to name Him Yeshua [which means, ‘Adonai saves,'] because He will save His people from their sins." How is Satan attacking the truth of the Virgin Birth? Find out in our next installment of this "Truth of the Virgin Birth" series. 8) David Stern, The Jewish New Testament (Clarksville, MD: Messianic Jewish Communications, 1989). I have a theory and if you have time please look into it. I was reading Jewish Holy Days: The Making of a Baby. I am a numbers person and G_D gave me some insight. 1948 + 70 (2018), 1967 + 50 2017. Why did I mention the website above, On August 27-28 we had an event in Washington DC to bring the country back to G_D. Use the document, add the days up, Use Aug 29 as Day 1. Look at what happens when you add up the days, specifically for the 7th month (March 2011), Birth could happen Shavuot June 7 to June 9. It just can’t be coincidence. is that translation of the bible available in local (bible)bookstores? i`d love to thumb thru it. or do you have to go to isreal or special order it? "I have a theory...The Rapture could happen...Birth could happen..."
"Zola Levitt discovered an amazing correlation between Jewish Holy Days and the gestation of a human baby, from conception to birth..."
"The correlation between the Jewish festivals and the birthing of a baby was just one of those 'wonders.'" "Even though we cannot know the day nor the hour of our Savior’s return, we are commanded to be aware of those signs which will attend the end. In fact, Jesus rebuked the Pharisees in His day for not recognizing the signs of our Savior’s First Advent. He said in Matthew 16:3: “… O ye hypocrites, ye can discern the face of the sky; but can ye not discern the signs of the times?”"
...Once Daniel had found his golden nugget of prophetic truth, God opened the door for Daniel to receive another — even greater — prophetic announcement." "According to the Scripture, there are certain specific benefits that can be obtained through the study of prophecy. Only the Wise Shall Understand"
...God had a prophetic message presented in the constellations..."
Just been trying to read some stuff by Charles Clough - date setting is based upon the historicist influence (preterist). It made sense when I was reading it, but its hard to repeat. Its a mistake to take that route because Jesus emphatically said no one knows but the Father only. Its like doubting His word. However 'things' are hotting up for the Trib to start for the 2nd coming, as the Rapture is imminent, so timing doesn't enter into it. Hartdawg is right, but patience and kindness toward those trying to understand is the way to go, I tell myself often. Today its been confirmed my 2nd eldest son and family are to be with us/me for Christmas day. Praise The Lord. Today I had to take my mums old dog to the vets to put him to bye byes. He trusted me, I feel like a traitor - dreadful. At least he won't be on his own when the Rapture occurs. Mum is upset but knows it had to be, she is handling it better than I am. I cuddled him all the time, then he was asleep. Life doesn't get easier does it. Oh, sorry to hear about you having to put your mom's dog down, E.I. That's a tough spot to be in. I too believe that God created the constellations as a great calendar (Job 9:9). It's only in man's sinfulness that we then worship it or think the creation has an intelligence to guide our future (Rom. 1:25).